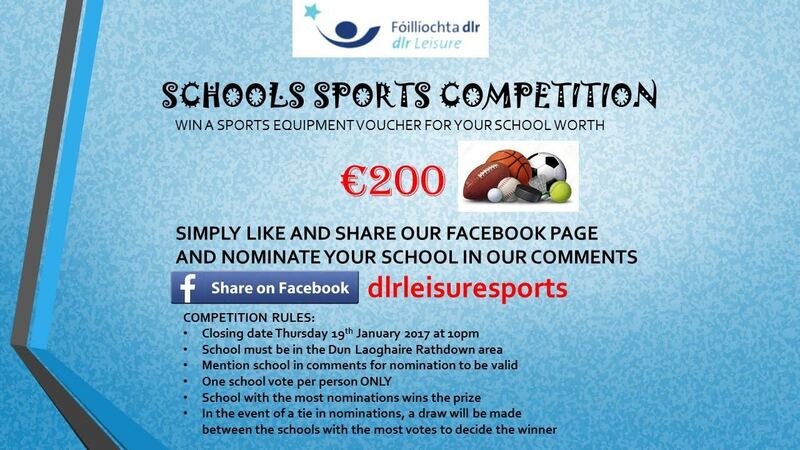 If you’re on Facebook please https://www.facebook.com/dlrleisuresports/?fref=ts to be in with a chance to win a 200 EURO Voucher for our school. This entry was posted in Parent General Information and tagged Competition, Leisure, Sports. Bookmark the permalink. ← Big Night Out Spot Prizes ! !